Use the Overlay Layer effect to read only the Overlay layer in an element. 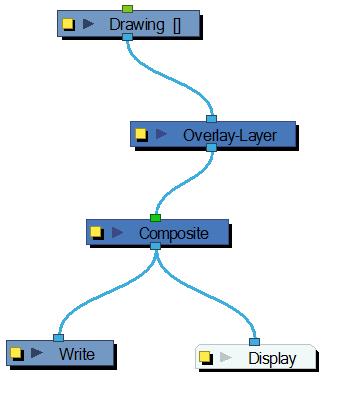 Place a Overlay Layer module after a drawing module in the Network view to display only the module's Overlay layer output. 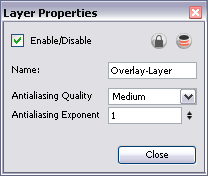 The Overlay Layer module can only be connected after a vector drawing layer or a vector type Composite module. Any bitmap information will not be processed. 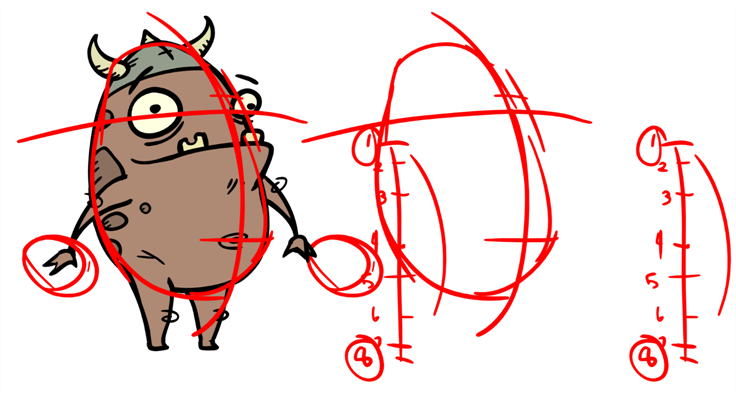 This effect will only work if the user drew or painted something into the Overlay layer of the drawing. Use the Overlay Layer editor to control how the Overlay layer is rendered by the module. • Antialiasing Quality: Smoothness setting applied to the Overlay layer. Choose from Low (no antialiasing), Medium Low, Medium and High (extensive antialiasing). The higher the quality of the chosen setting, the greater the amount of antialiasing that is applied. Higher quality images require more time to render and more memory from your system. • Antialiasing Exponent: Controls the amount of area around the Overlay layer edges that is used in the antialiasing process. A higher value uses less area, resulting in sharper edges, while a lower value uses more area, resulting in softer edges. If the Antialiasing Quality value is set to Low (no antialiasing), this value is ignored.